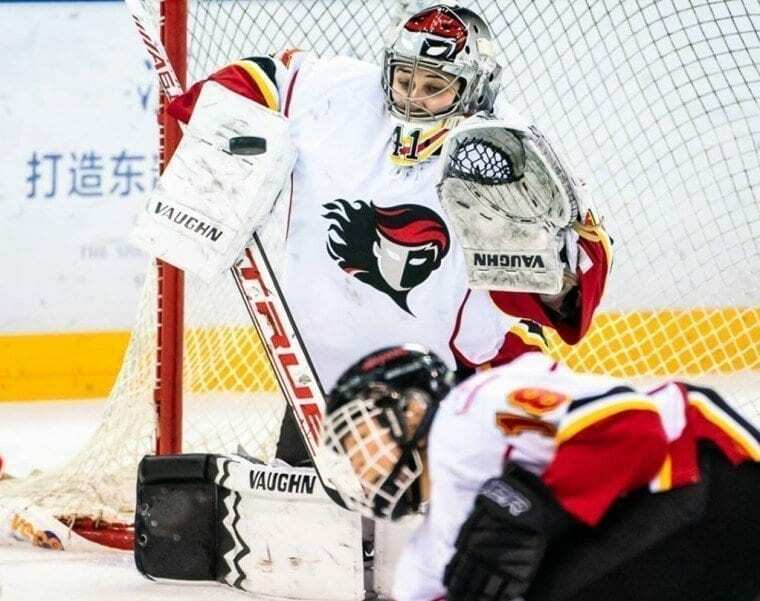 Selected by the Calgary Inferno with the 17th overall pick, Annie Belanger, the second goaltender taken in the 2018 CWHL Draft, has proven to be a pick of high value. The alum of the University of Connecticut, and former Team Quebec Under-18 member, won the Hockey East Goaltender of the Year Award in her senior season of 2017-18, complemented by Hockey East First-Team All-Star honors. 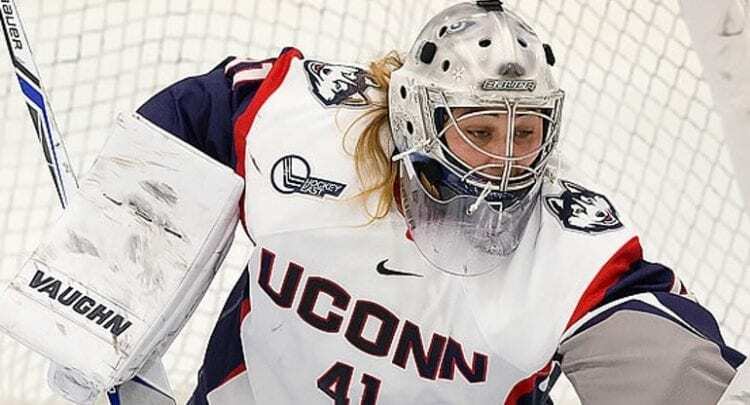 Despite winning only 13 games in her final season with Connecticut, Belanger logged an impressive four shutouts, while leading all backstops in Hockey East with a sparkling .938 save percentage, graduating as the University’s all-time saves leader in that category. In addition, she topped Hockey East in goals against average, with a minuscule 1.84. Making her CWHL debut on October 27, 2018 at the Fidelity Bank Worcester Ice Center, she would achieve the very rare feat of posting a shutout. Worth noting, the last goaltender to log a shutout in her debut was Meghan Corley-Byrne, standing between the pipes with the Montreal Stars during the 2013-14 CWHL season. Akin to a baseball player hitting a home run in their very first Major League at-bat, only 17 saves were required in order to blank the host Worcester Blades. Kelty Apperson’s first goal of the season, slipping the puck past Mariah Fugimagari at 6:45 of the second stanza, proved to be the game-winning tally. Worth noting, the game would also result in a shared milestone for newly acquired teammate Kacey Bellamy. A member of the US gold medal winning team from the 2018 Winter Games, she scored her first Inferno goal in the same period. The following day, Belanger would gain the start once again versus Worcester. Blanking them for the second straight game, turning away all 23 Blades shots, it marked an early season highlight for the young backstop as the Inferno emerged victorious in a convincing 9-0 final. Adding luster to the win was the fact that Belanger was recognized as the Third Star of the Game, while teammates Brianna Decker and Rebecca Johnston gained First and Second Star honors. Following the back-to-back shutouts, Belanger was essential in a road sweep of the Toronto Furies. Taking place from November 17-18, 2018, it allowed her the opportunity to begin her CWHL career with a sparkling 4-0-0 record. Coincidentally, the Furies would also play another part in Belanger’s rookie season. Making her home debut just 10 days before Christmas, the Furies scored thrice on Belanger for her first, and only, loss of said season. Redeeming herself the day after, Belanger made 21 saves as the Inferno blanked the frustrated Furies, resulting in her third shutout. With Winter Games gold medalist Alex Rigsby firmly entrenched as the Inferno’s starting goaltender in the second half of the season, Belanger remained reliable, providing a very dependable presence when required. Making three appearances, including a February 10 shutout versus the visiting Blades, the final game of her rookie season may have proven to be the most fulfilling. 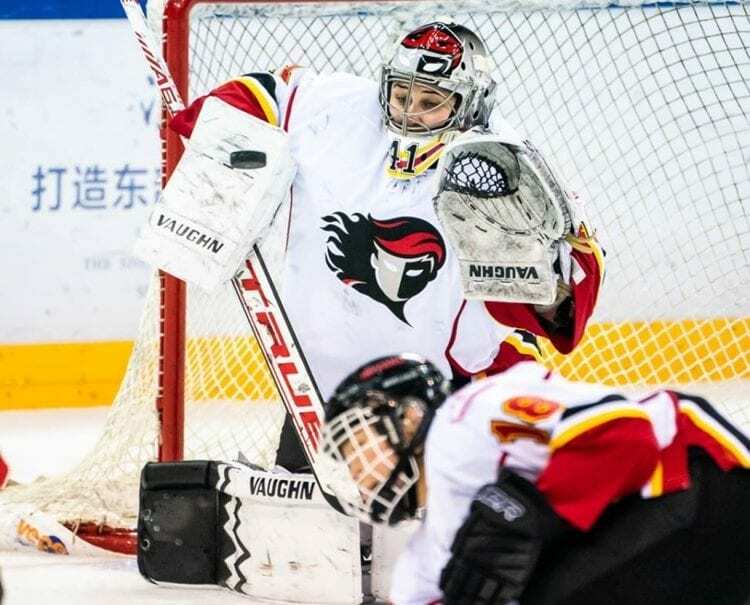 Travelling to Shenzhen, China, the rookie sensation gained the start on February 23, as the Inferno challenged the KRS Rays, an amalgamation of last year’s expansion teams, the Kunlun Red Star and the Vanke Rays. Although the KRS Rays grabbed a 3-2 advantage after two periods of play, as Rachel Llanes scored on Belanger at the 15:19 mark, nullifying the Inferno’s power play, there was also a unique element of coincidence. Among the players who gained the assists on Llanes’ goal included Leah Lum, a former teammate of Belanger at Connecticut. Goals in the third period by Zoe Hickel and Katelyn Gosling provided the Inferno with the 4-3 win, Belanger displayed tremendous poise throughout the third. Just as significant was a power play opportunity for KRS Rays in the game’s final minute. With Blayre Turnbull called for body checking at 19:27, Belanger denied her opponents a chance to tie the game, preserving the victory while showing a reliability that gained the confidence and respect of her teammates. Complemented by the chance to call a world-class backstop such as Rigsby a teammate, the chance to be among the league’s statistical leaders while enjoying international play in one of the world’s burgeoning hockey markets has represented a proud series of milestones in a sensational season. Propelling the goaltending prodigy into a much larger, Belanger certainly emerged as an essential contributor in a 25-4-1 season.